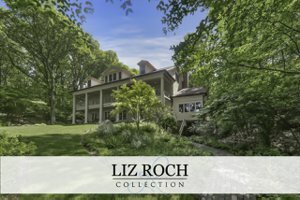 Lakeside Real Estate - New Listings! Courtesy of James Garrison with Keller Williams Realty SWM. Courtesy of Gail Lowrie with @properties Michigan. Courtesy of George Lucas with RE/MAX Harbor Country @ Union Pier. Search all Lakeside area property listings with our easy to use MLS real estate search. Get daily email alerts of new home, condo and land listings as they become available plus price changes. Lakeside sits just to the north of Union Pier and offers a variety of different properties. On the lake sit some massive estate properties with deep setbacks, and an abundance of land, a rare commodity this close to the lake. Set into the narrow streets off the lake a mix of quaint old cottages, and new modern "cottages", offer a wide range of price points. Some private beach access is available, and Chikaming beach access is available at Pier St, Berrien St, and Cherry Beach. Home to the Chikaming Country club, and the Lakeside Inn, Lakeside is a quiet and beautiful beach community.